Nice Georgetown sketches, everyone! 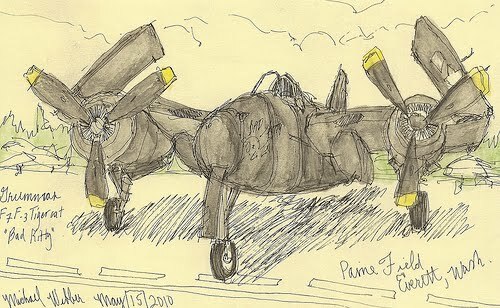 I unfortunately had to work in the afternoon so I stayed in Everett and participated in the worldwide sketching at Paine Field where they were having a historic flight air show. Here is an aircraft from the Historic Flight Foundation's collection, a Grumman F7F Tigercat.